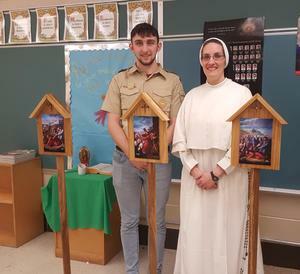 Drew McFadyen ('15) gave his grade school a delightful gift this week. 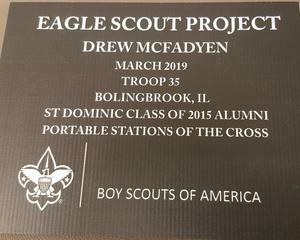 He dedicated his Eagle Scout Project to creating portable Stations of the Cross to be used by the teachers and students of St. Dominic School. Each station was handmade from raw materials and finished beautifully with sacred art depicting each event in the Stations. The school community is excited to use this beautiful display in their prayers this Lent. 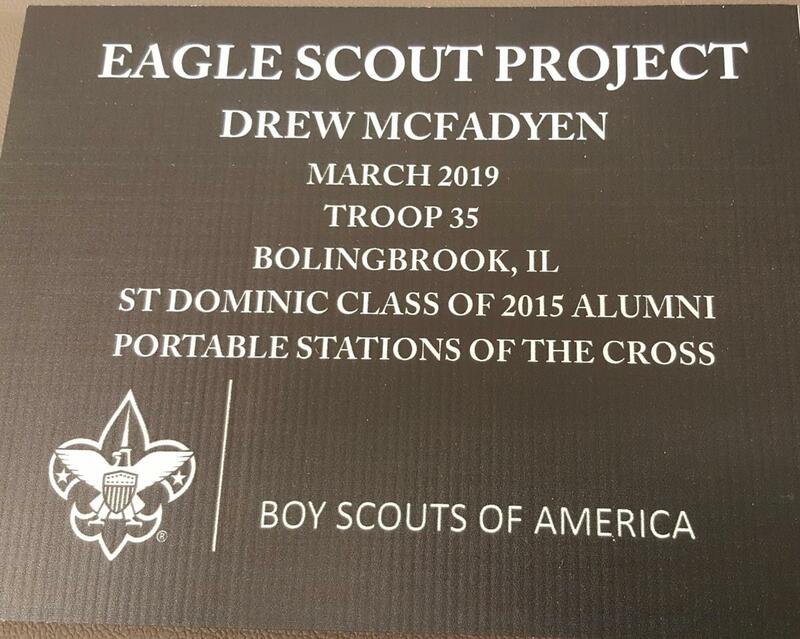 Thank you Drew and best of luck with the rest of your senior year!